Cultural industries are fueled in large part by alcohol and drugs. The film industry for one. The music industry for another. The sports industry for another. The recent revelations that the NFL is being investigated by federal drug enforcement personnel has the potential to create an entirely new version of professional football. The situation is very different from doping scandals such as Lance Armstrong and the Tour de France. Or the famous cases in baseball. For the most part, these earlier cases involved an individual athlete and his doctor. The doctor would prescribe a certain type of medication for his athlete client. All of this is fairly familiar in the press today. But the federal investigation 0f drugs in the NFL is different. The investigation is triggered by a class-action lawsuit filed in federal court in May 2014 by more than 1,300 retired NFL players. The suit alleges that NFL medical staffs regularly violate federal and state laws in plying their teams with powerful addictive narcotics such as Percocet and Percodan, sleeping pills such as Ambien and the non-addictive painkiller Toradol to help them play through injuries on game days. 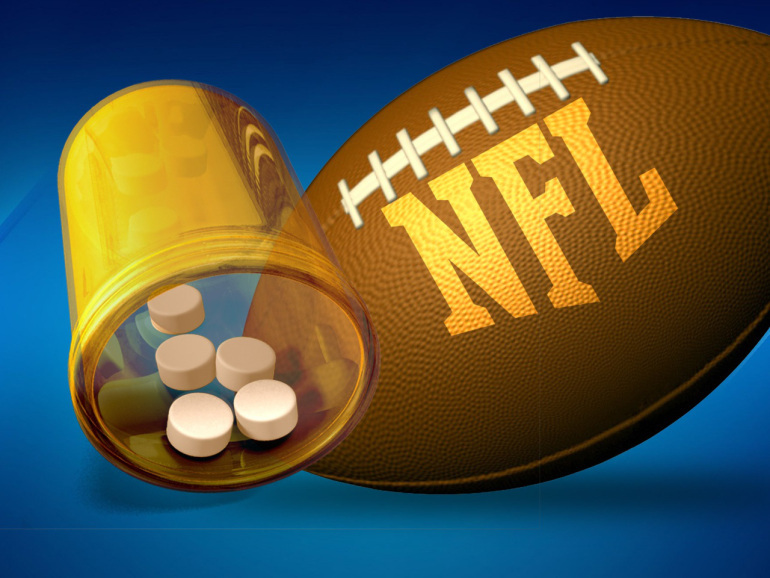 The Washington Post reports that Federal drug agents conducted surprise inspections of National Football League team medical staffs on November 16, 2014 as part of an ongoing investigation into prescription drug abuse in the league. The inspections, which entailed bag searches and questioning of team doctors by Drug Enforcement Administration agents, were based on the suspicion that NFL teams dispense drugs illegally to keep players on the field in violation of the Controlled Substances Act, according to a senior law enforcement official with knowledge of the investigation. The recent interest of the federal government in football with questions of domestic violence in the NFL as well as the drug issue, this shows an attempt of the federal government to regulate professional football. Yes, it might also show corruption in football, but this seems the side issue. The real power play, it seems to me, is the intent of the federal government of moving in to regulate professional football more. Because sports offer one of the greatest threats to the control of the government in modern culture. Government can enlist Hollywood and Madison Avenue into its ranks. Or the music industry and academics or the media. But it has been difficult to make professional sports another cultural cheerleader for the government. The raid of the five professional football teams reported in the middle of November 2014 will be interesting to watch. The investigations might very well lead to more regulation. Certainly regulation might be needed. But what will the results of regulation be? Will the NFL become another part of culture controlled by government?